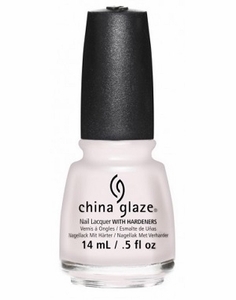 China Glaze Nail Polish, Let's Chalk About It, 1451, .50 fl. oz. Very light, almost white, pale lilac pink creme nail color.